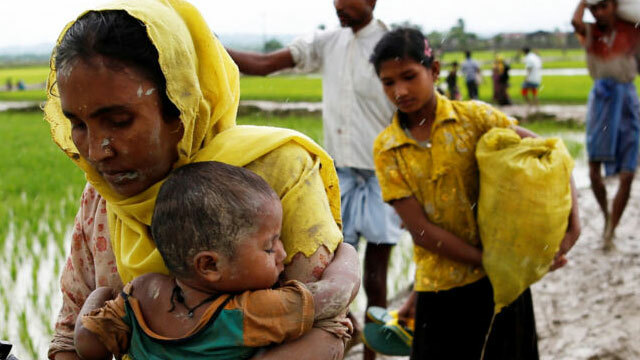 Dhaka, Dec 29 (Just News): South Korea will provide an additional US $ 1.4 million in humanitarian assistance for the Rohingya people who have moved to Bangladesh amid persecution in Rakhine State, Myanmar. The South Korean government's contribution will be delivered through multilateral channels such as Unicef and the UN Refugee Agency (UNHCR). The humanitarian assistance provided by the South Korean government for the Rohingya people in Bangladesh in 2017 will stand at a combined US $ 3.4 million, said the Korean Embassy in Dhaka. Previously, in 2017, it contributed 2 million US dollars to the International Organization for Migration (IOM)'s emergency aid operation and to the UN Population Fund (UNFPA) humanitarian assistance activities for Rohingya people in Bangladesh. The South Korean government will continuously increase its assistance to vulnerable people in humanitarian crises caused by conflicts and other armed clashes, the Embassy said.